Add To Ignore List I am researching boatyards in Thorpe for the Thorpe History Group. I believe there have been up to 16 yards here.The Town Council Archive has details of the most famous ones, Jenners,Hearts and Wards. What I am looking for are details and photgraphs of the others. Can you help please? These are the names Bravecraft,Corig,Reliance,Ferras,Foster,Harmony,Classic,Clarke,Thetford,Harradine,Hazell,Loweth,Maidencraft,Martins and Girlings.. If you have information or photographs post them here or p.m. me. Add To Ignore List Another boatyard at Thorpe was Stephen Field's Yard, this yard was situated at the start of of the new cut Thorpe Reach. To get to this yard you go down Girling lane next to Rush Cutters PH. cross the railway line and it is the first gate on the right, the slipway is still there. Stephen Field once had the yard in Water Lane, around the 1870s(later this became Jenners Yard). Stephen Field started his career in boat building at Carrow, he had a yard next to the old Carrow Bridge. 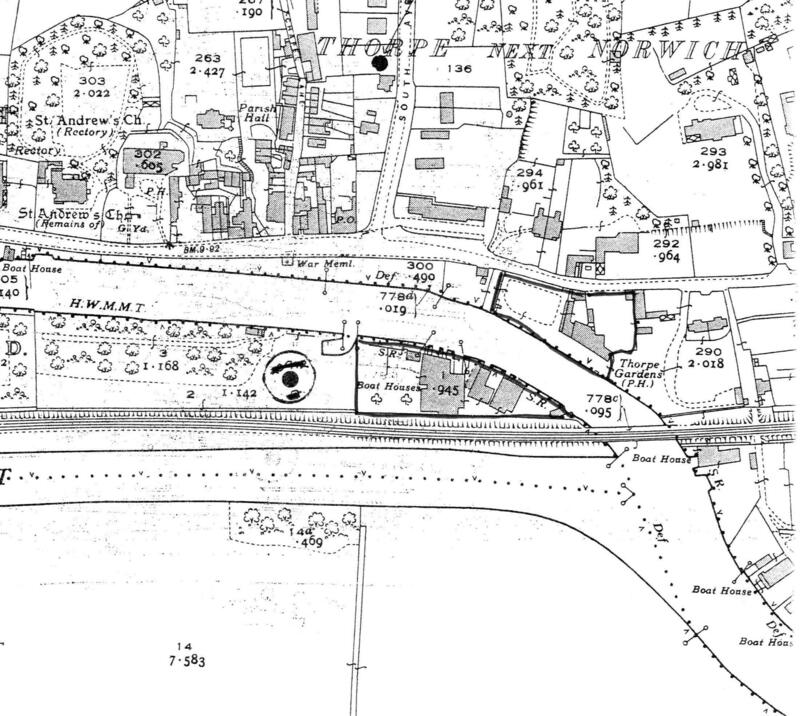 He moved Water Lane census 1871 then to the yard I mentioned above around 1872/3 he was at the yard in Girling Lane up to 1893 when he sold it to Harts Boatyard who were on the island just before the death of his son Stephen Field Jnr who was also a botbuilder. Stephen Field Senior was my Grt Grt Grt Grandfather. He built the steam wherry Alexandra in 1865 the first boat propelled by a Screw (prop). Best wishes Mike. Add To Ignore List Thanks Mike. I was aware of Stephen Field but have him as being on the island, so this is useful information. The wherry he built as a steam wherry was never operated under steam.This may have been because of explosions locally on some steam boats.Do you have any information on this?I believe he became skipper of the wherry John Henry for Hobrough's after selling the yard. Add To Ignore List I wonder if Brundall Local History Group have any information. It might be a bit outside their area but you could ask. They are not so very far away. Add To Ignore List I should have said first screw prop on the river Yare. Alexandra was powered by steam reference ' Idles of the 1880' when she carried passengers on a trip out of Norwich to Coldham Hall on Whit Monday. Reference Stephen Field the wherry skipper of the JOHNHENRY this was my great Grandfather born 1873, he was son of Stephen Field Jnr (1855-1893),Stephen Field Snr (1829-1904). Stephen Field also built the wherry EMPRESS she was intended for steam, but later rigged for sail by Halls of Reedham. Add To Ignore List Reference the 200 years, this was said in a book about wherries, Stephen Fields Father came from a village close to Halesworth in 1826 to St Stephens new parish of Lakenham. Stephen Field learnt boatbuilding down at Carrow at Britchers and Girlings yard Carrow Abbey. This yard in the early 1800s was building large sea going vessels. He was building 5 ton broads sailing boats in the 1860s. I would certainly be interested reference the land sale, I found a news advert of land for sale by Field but sadly it was not very clear to read. There was a large early yard on the island, also Cattermoul’s yard at Thorpe built sea going vessels early 1800s, Cattermoul also had Thorpe Gardens PH. Add To Ignore List Interesting you mention Girlings because there was a Girlings Boatyard at Girlings Lane just over the railway line next to the yard run by your ancestor. I wonder if they moved from Carrow. Add To Ignore List Girling had many generations in boatbuilding from the early 1800s till 1900s. There was certainly a Girling using the boatyard site of my ancestor in the early 1900s, strangely this was after it was sold to Harts. Early Girling yards were at Carrow first on the Abbey side, later on the opposite bank. As the banks became industrialised at Carrow no doudt the young generation of Girlings moved east down river to Thorpe.